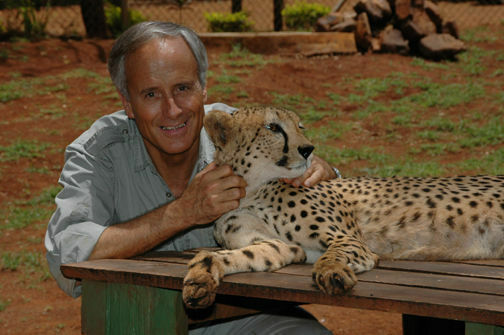 According to recent reports, celebrity wildlife advocate Jack Hanna, popularly known as Jungle Jack, has been spotted in Malaysia for a television shoot of the country’s animal kingdom. During his two-week tour of Malaysian Borneo’s Sabah, Hanna will focus his cameras on the Sandakan Orangutan Rehabilitation Centre; Sun Bear Conservation Centre; Guamuntong caves; Kinabatangan and Labuk Bay, before leaving for Kuching where he will focus on the Sarawak Cultural Village and Bakun National Park. The popular “Into the Wild,” viewable in 98% of American households, received a Daytime Emmy Award for Outstanding Children’s Series in 2008. Hanna and his crew were invited to the country as guests of Tourism Malaysia. According to their press office, Hanna reports that Malaysia’s great apes and elephants have always fascinated him and that this was the first time he was doing a show on orangutans and pygmy elephants. “We are really glad that Tourism Malaysia kindly brought us here which is not only good for us, but good for the country too,” said Hanna, referring to the fact that his host countries retain broadcast rights to any footage he shoots to use in their own promotional efforts. If Hanna’s work piques your interest in going, another resource for families is Malaysia Explorer, a blog about all things Malaysia that is packed with touring ideas. Hanna, 62, is also Director Emeritus of the Columbus Zoo in Ohio, one the country’s most popular zoos for young children. He said his main objective of filming animals is to educate and encourage his audience to venture to the vast regions of the globe where his show travels. We’re glad he was able to bring his family along.